Many schools are now becoming familiar with chrome devices. Chromebooks are a less expensive, and more secure alternative to normal laptops. Many people become confused with the concept that the Chromebook does not run normal applications. Instead, it runs one program; Google Chrome. However, there are many extensions for Google Chrome that make working easier, more effective, and fun. Many of these extensions are useful for educational purposes, from note taking to screen capturing, there are Chrome extensions for everything. Here is a list of the ones that II find the most useful. LastPass is one of the most popular password managers available as a chrome extension. It allows you to store usernames and passwords from websites you use, as well as fill in form data on user signup pages, addresses and credit card information, and it can even generate and store secure passwords for website so you never have to remember them. 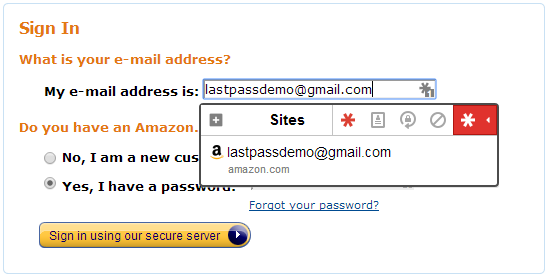 Because LastPass works as a Chrome extension, it can use your passwords between all your devices. Meaning a password that you saved from you phone will be automatically available to use on your Chromebook. Below are some screenshots that show the functionality of LastPass. So much better than lap tops!! Thanks for posting. It’s a whole new experience for some of us!